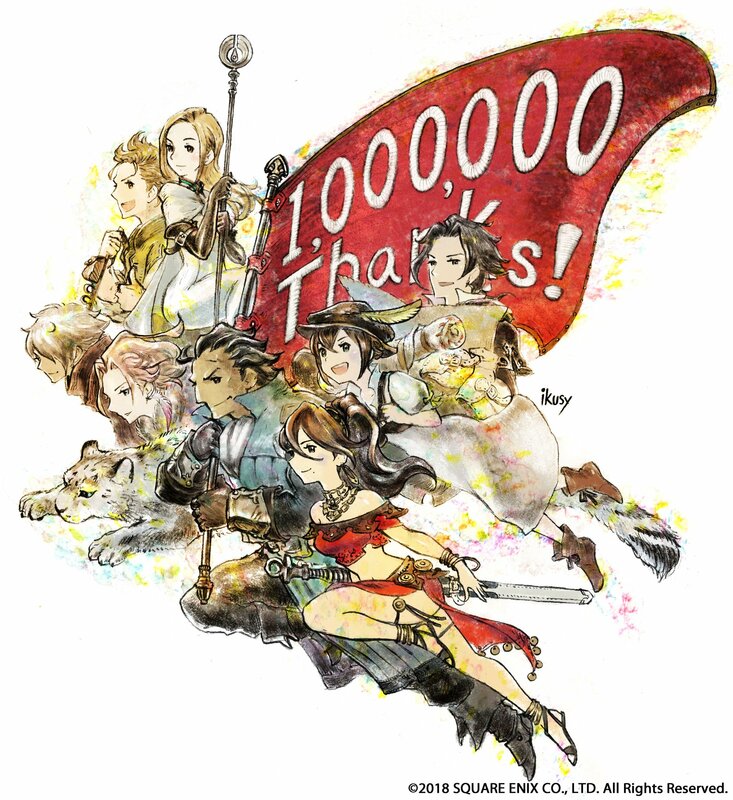 Nintendo and Square Enix have announced that the recently released and critically acclaimed throwback RPG Octopath Traveler has shipped 1 million units worldwide. This number includes digital sales. They would like to thank everyone “for making this possible” and released the above illustration to celebrate this significant milestone. Octopath Traveler is now available worldwide for Nintendo Switch.